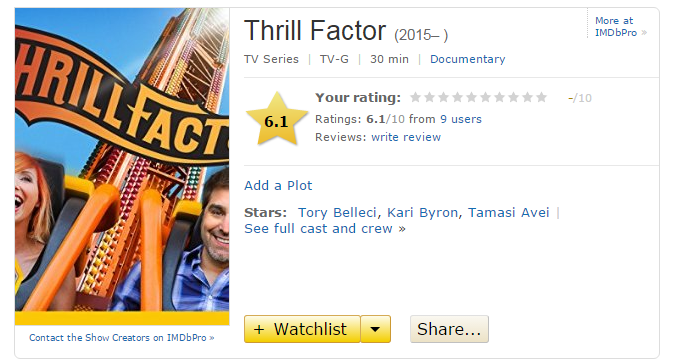 “Thrill Factor,” produced for the Travel Channel by BASE Productions, seemed to have everything going for it – personable hosts with a resume of quality, entertaining programming. So, has the show lived up to the lofty expectations of both theme park and Mythbuster fans? Let’s begin with the premise…something tells me the elevator pitch for this show was: “It’s Mythbusters – at an amusement park.” And the segments with Kari and Tori are the best parts of the show – as you’d expect from seasoned pros like them. The hosts test a different theory revolving around rides each and every episode – which sounds great, but I suspect they’ll run out of things pretty quickly. But then – just as the show is about to eclipse the lift hill into excitement – the show quite literally goes off the proverbial coaster rails and quickly transitions from the host segment into a new one, where POV footage (forward and reverse) is shown. Now, I’m not sure if the show just ran out content and had to fill time – but the seemingly random cuts to POV give the show a manic feel, as if the viewer is assumed to have ADHD and couldn’t possibly focus for more than five minutes at a time onto the screen. The POV segments take what could have been a fun concept – and just kills it, whereas focusing on both Byron and Belleci would have sufficed and indeed, made the show better, in my opinion. 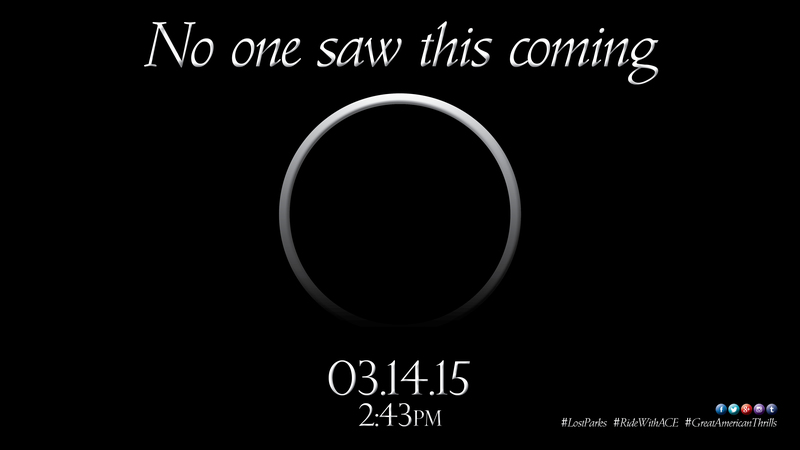 If the content isn’t there to fill the full half hour – something’s wrong with the concept. 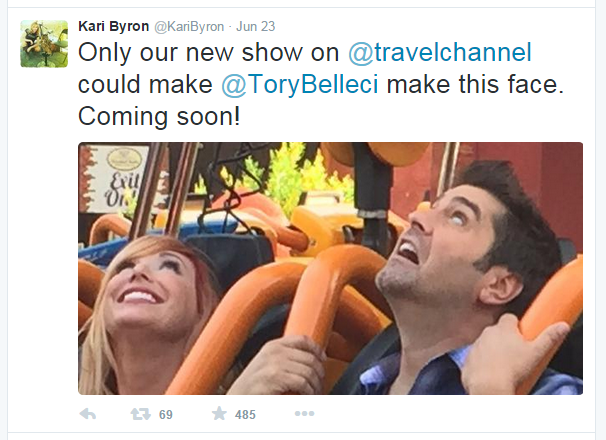 Kari and Tori – who are very good at interacting with their fans on social media and are genuinely nice people in real life, too – deserve better after helping refine one of the most successful, educational and entertaining shows ever to come out of Discovery Channel. BOTTOM LINE: Drop the POV segments from the show and expand the host’s time on screen – and you have the rare opportunity to have a “coaster show” that lasts longer than two seasons. With the exception of wooden roller coasters, most of today’s state of the art thrill rides are designed by European firms. 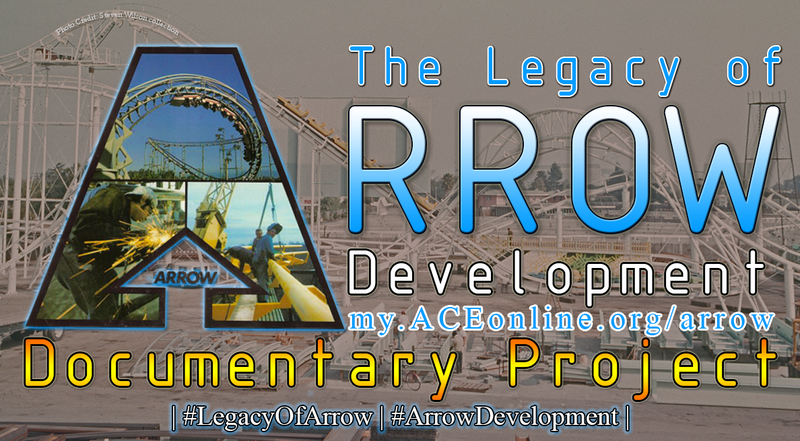 But in the 1960’s, Northern California-based Arrow Development was the company that parks around the world came to for the latest in steel coaster innovation. Last month, a small crew of volunteers from American Coaster Enthusiasts (ACE) Worldwide, Inc. crisscrossed the country to tell the story of an American manufacturing legend that entertained millions. The team visited amusement and theme parks with prominent Arrow rides, including: Six Flags Over Texas, Cedar Point, Kennywood, Busch Gardens Williamsburg, Lagoon Park and Silverwood Theme Park. About ACE: Founded in 1978, ACE is a non-profit, volunteer organization dedicated to the preservation, promotion, appreciation and safe enjoyment of roller coasters. With more than 5,000 members across the globe, ACE is the largest amusement park enthusiast organization in the world. In addition, numerous television outlets such as the Travel Channel have prominently featured ACE and it’s members. March 7, 2015 | Categories: Amusement Parks, Lost Parks, Television Production, Theme Parks | Tags: #lostparks #greatamericanthrills, #RideWithACE, ACE, american coaster enthusiasts, great american thrills, kris rowberry, kristopher rowberry, nicholas laschkewitsch, robert ingle, tv production | Comments Off on ONE WEEK to the big announcement from Great American Thrills!